Nikola Tesla (10 July 1856 7 January 1943) was an inventor and a mechanical and electrical engineer. He is frequently cited as one of the most important contributors to the birth of commercial electricity and is best known for his many revolutionary developments in the field of electromagnetism in the late 19th and early 20th centuries. Tesla's patents and theoretical work formed the basis of modern alternating current (AC) electric power systems, including the polyphase system of electrical distribution and the AC motor, with which he helped usher in the Second Industrial Revolution. This program reveals the discoveries of a forgotten genius, many of which went virtually unnoticed for nearly a century. Nikola Tesla is considered the father of our modern technological age and one of the most mysterious and controversial scientists in history. How did this obscure visionary from what is now Croatia, lay the foundation for modern communications and energy research? Nikola Tesla's contributions to science and technology include the invention of radio, television, radio-astronomy, remote control and robotics, radar, medical x-ray and the wireless transmission of electricity. 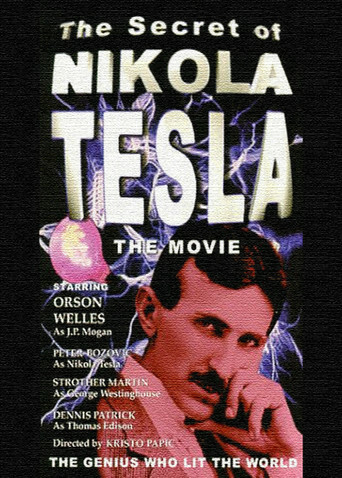 Many of Nikola Tesla's inventions were and in some cases still are considered too revolutionary by government agencies and the power brokers of the time and are discussed in detail in this program. Encyclopedia Britannica lists Nikola Tesla as one of the top ten most fascinating people in history. So why is he virtually unknown to the general public? This program is a penetrating study of the life and mind of a scientific superman who, against all odds, dedicated his life to the task of designing and improving technology for the service and advancement of humanity.